The family circumstances of many of the Summerstown182, living in damp, cramped conditions with money in short supply and uncertain prospects can not have been easy but the situation of Henry and Charles Moss would appear to have been more difficult than most. It explains perhaps why at a young age, both brothers saw the services as an escape route to a better life. One chose the army and one went to sea. Between them they endured almost ten years of the most intense experiences that it is possible to imagine. Both ultimately lost their lives. One was killed on the Somme in the face of the huge German Spring Offensive of March 1918 which almost turned the course of the war. The other died of TB in a hospital in Shoreditch shortly after the war ended. The Moss brothers were cousins of Albert Clarke and it was only during our research into him that we established their Foss Road credentials. They were the sons of Henry Benjamin Moss and his wife Emma and grandsons of Henry and Ellen Oliver who lived at 46 Foss Road. Maud Clarke, Albert’s Mum, was their Aunt. Henry William Moss was born on 9th May 1894 in Islington, Charles Robert Moss was born in St Luke’s on 15th August 1897. In 1901 the family lived at 6 Norman Street, St Luke’s, not far from the present day location of the Old Street roundabout. There followed two other brothers and a sister. Something then went wrong, because in the 1911 census, Henry Benjamin Moss is listed as an inmate in Caledonian Road, Islington, most likely Pentonville Prison. Emma who worked as a flower seller was in Holborn Workhouse. Because of these problems the children appear to have been distributed to other family members or institutions. Emma Amy Moss, aged seven was in the Holborn Workhouse School in Mitcham. Part of this, Eagle House still survives as a specialist autism school. 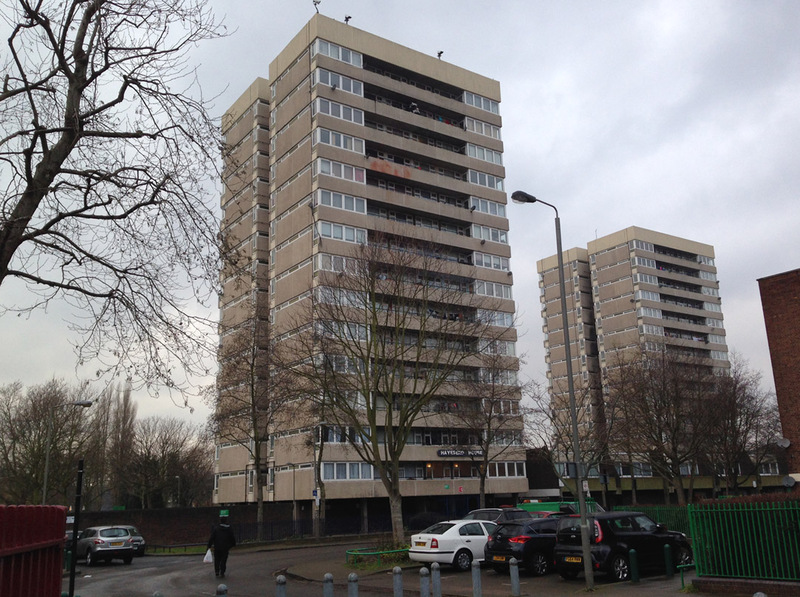 In the same census Charles was living with his grandparents, sharing one single room at Foss Road. This location was about half way down and by my calculations, is now almost directly under Hayesend House. The address was also the home of another of the Summerstown182, John May of the Royal Fusiliers who was killed in March 1915. By that time both Moss brothers were already in uniform. 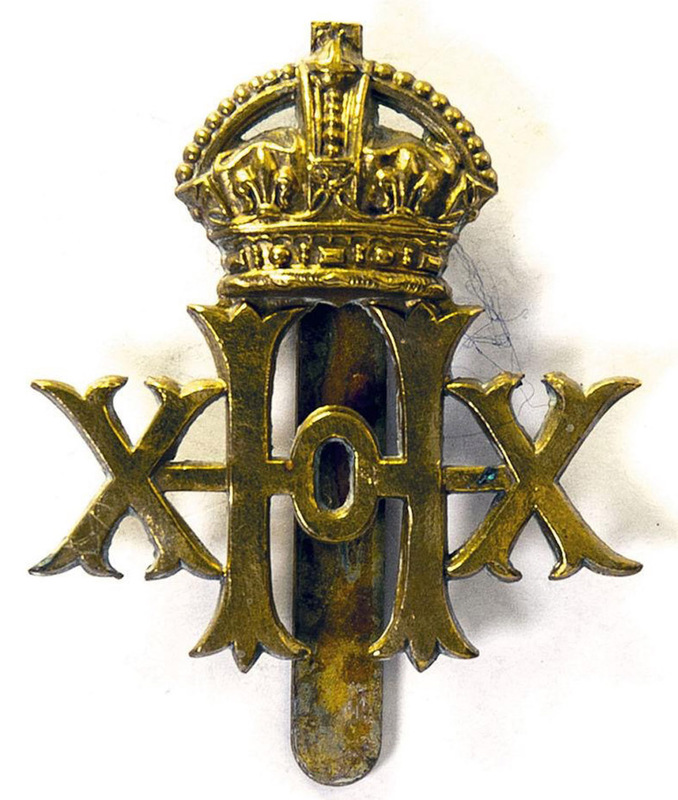 Henry appears to have joined the Hussars at the age of 17 in 1911. Charles went to sea as a boy sailor on 21st April 1913 when he was just fifteen. Charles Moss became a full seaman in August 1915 aged 18 and served on five different ships; Impregnable, Gibralter, Pembroke 1, Arethusa and Canterbury. His character was consistently described as very good. He almost certainly saw action at a number of major battles, the first big nautical scrap of the war at Heligoland Bight on 28th August 1914 was seen as a great naval victory and Admiral David Beatty, whose bust is in Trafalgar Square became a national hero. In the November 1914 edition of the St Mary’s parish magazine, Reverend John Robinson noted ‘Charles Moss reports that his ship the new Arethusa had been in action’. In the final months of that year German ships had bombarded British east coast towns, such places as Great Yarmouth, Hartlepool and Whitby. A strong repsonse followed. 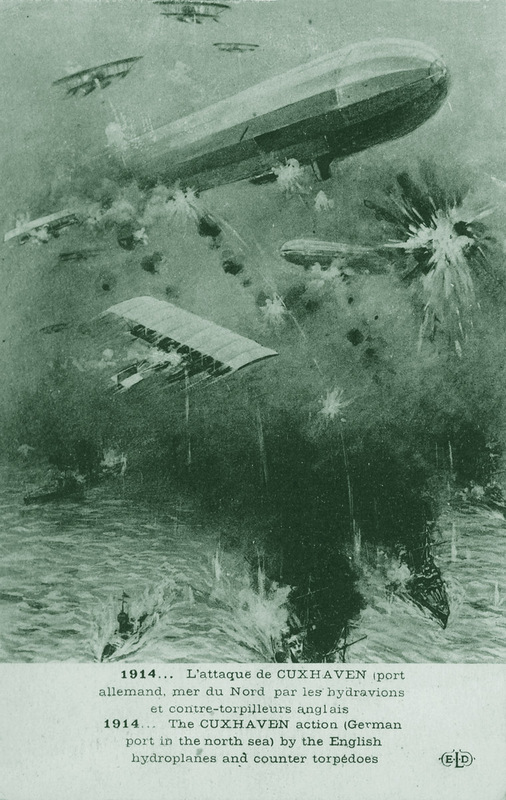 Never mind the truce on the western front, Christmas Day 1914 saw Charles Moss and HMS Arethusa take part in an audacious raid on Cuxhaven on the Elbe estuary. This saw seaplanes take off from ships in an attempt to bomb the sheds which housed the zeppelins which were also intended to blitz the British mainland. Oddly enough this was the same town from where an old friend of mine, Archie Teggarty from Kilkeel liberated a massive Nazi swastica flag in 1945. He kept it under his bed in a brown paper bag for the next fifty years. 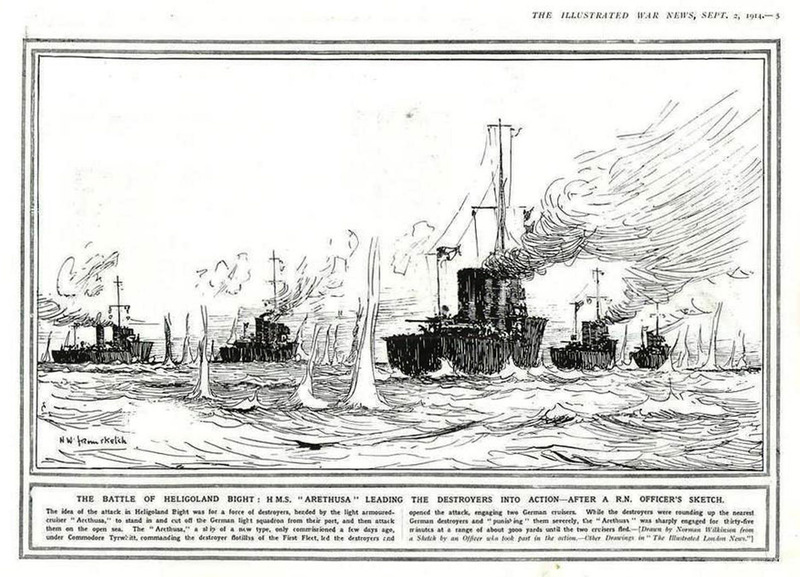 The Battle of Dogger Bank on 25th January 1915 saw the Arethusa fire the final torpedoes which sank the German warship Blücher. The extraordinary photograph above from the Imperial War Museum’s collection, shows her just before she went down. The Arethusa was at the centre of attempts to rescue many of the stricken sailors but these were impeded by U-boat intervention and 792 lives were lost. Just a few weeks later Charles Moss would have probably been on board when the Arethusa struck a mine off Felixstowe and six crew were killed. It looks like he transfered to HMS Canterbury in May 1916 in which case he would have seen action at the Battle of Jutland. 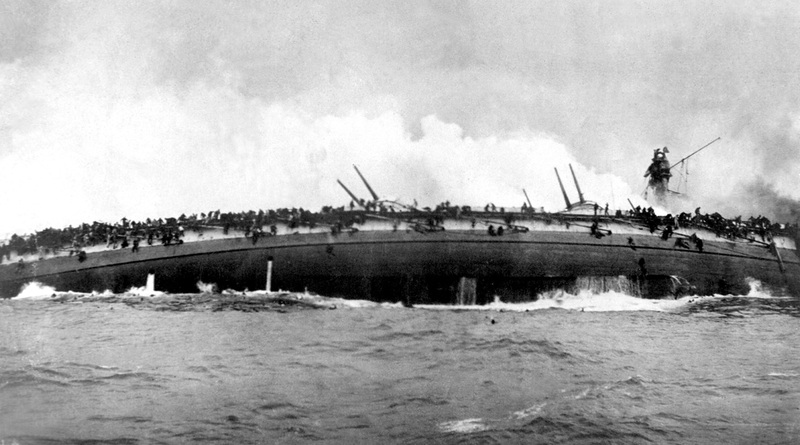 The largest naval battle of the First World War cost 10,000 lives but HMS Canterbury came through unscathed. Five of the Summerstown182 were lost that day, it seems that a sixth survived. After all that, Charles Moss was invalided out of the navy with tubercolosis of the lung on 20th June 1917. That summer there was stalemate on the western front and the country at large was feeling the pinch after three years of war. It would have been extremely depressing for Charles, the young man who had written so enthusiastically to the vicar and seen so much excitement was no longer able to play a part. Although very sick, he found work as a clerk and moved to Shoreditch. He also found a wife, marrying a Daisy Frances Lefever, the daughter of a marble polisher in Hoxton on 19th May 1918. But his wedded bliss was shortlived and he died less than eight months later at the age of 21. His death is mentioned in the St Mary’s magazine ‘Charles Moss, HMS Arethusa, died in hospital 5th January 1919’. He’s probably buried somewhere in Shoreditch, we’ll try and find him. Daisy wasn’t single for very long and married again in August 1920, to a labourer called William Gannaway. 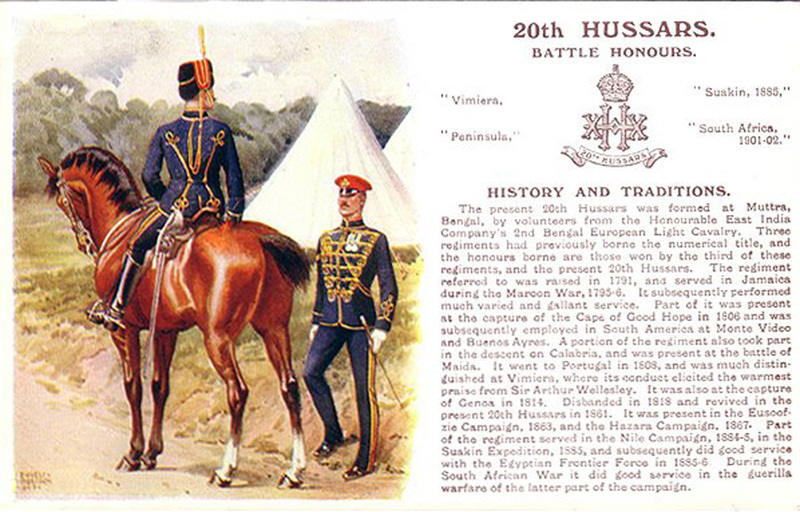 Henry was in a cavalry regiment known as the 20th Hussars. They served on the western front for the duration of the war and crossed to France on 17 August 1914 and were one of the first in action. We saw ‘War Horse’ just a few weeks ago and Henry Moss would have participated in the nightmare scenario of a charge of horses at an unseen enemy fortified by deadly coils of vicious barbed wire. Its impossible to imagine the horror. When it became clear that such assaults were part of another age, Henry would have taken to the trenches and fought as an infantryman. The retreat from Mons which is believed to have saved Paris, the battles of the Marne and the Aisne, the First Battle of Ypres, Messines, Bourlon Wood and Gouzeaucourt on the Somme – the 20th Hussars were there. in 1918 they were part of attempts to stem the enemy advance following the German Spring Offensive of 1918. It was in this, so close to the turning point of the war and having been through so much, that Sergeant Henry Moss was killed. ‘We regret that we have to announce that news has been received that Sergeant Harry Moss, 20th Hussars was killed in action on March 22nd’. Henry’s name is on the grand Pozieres Memorial on the Somme, in the flat lands bounding the straight-as-an arrow D929 road between Albert and Bapaume. One of 14,657 names, many of whom were Australian, slaughtered on the same battlefield two years earlier. Across the fields you can see the giant Thiepval Memorial which remembers another 75,000. So it goes on. The Moss brothers appeared consistently in the St Mary’s magazine in Reverend Robinson’s published list of men ‘who have gone forth from this parish to serve their King and Country’. It is fortunate Charles Moss is on the Summerstown war memorial because there is no Commonwealth War Grave record of his service. No white marble headstone or inscription to indicate that the sickly clerk who died in Shoreditch on 5th January 1919 had seen service at some of the greatest sea battles of the twentieth century. Good work, Reverend John Robinson. Many thanks to Marion Gower and Christine Marden who researched the histories of Charles and Henry Moss. The following link is an account of HMS Arethusa’s involvement in the sinking of SMS Blücher.